Debbie Grifka | Testing fun! One of the issues that always causes a bit of trouble in appliqué is when light fabrics are placed over dark ones and the dark shows through making the lighter fabric look dull. My usual solution to this problem is to cut out a white or light “lining” piece that is just a bit smaller than the appliqué shape and slip it between the background and the appliqué piece. However, this doesn’t work as well when you are doing fusible appliqué. I’m working on a project now where I want to appliqué white strips over dark red fabric (Kona Rich Red). So I decided to do some testing. I prepared three blocks using three different methods. For Block A, I didn’t do anything special – just fused the white on top of the red using my usual fusible product (Heat N Bond Lite). For Block B, I used a different fusible web (the kind without paper attached – Pellon Wonder Web 807 in this case) to fuse my Kona White to some bleached muslin and treated it as one piece of fabric. Then I used the Heat N Bond Lite to fuse the appliqué to the background. For Block C, I used the same procedure, but used a second piece of Kona White in place of the muslin. While Block C was the whitest, I decided that the double layer of Kona made the appliqué piece a little stiff. I’ll be using the bleached muslin method from Block B to make my quilt. It was a lot of fun to take the time to do this test. Do you ever test things before you make a quilt? If so, share what you’ve done in the comments! One of my pet peeves is shadowing. To solve, I back my applique fabric with light weight fusible interfacing, then apply the fusible to the back and proceed. The interfacing is is not too heavy that it adds a lot of bulk, but creates that extra layer so the background fabric doesn't show through. The color differences showed up really well on my iPad. Thanks for doing this test and sharing it. I'm glad you shared this little problem and testing. I don't do much applique so probably wouldn't have thought through the possible problems until I had jumped in and then became stuck trying to solve it after the fact. I'll need to remember your solutions. 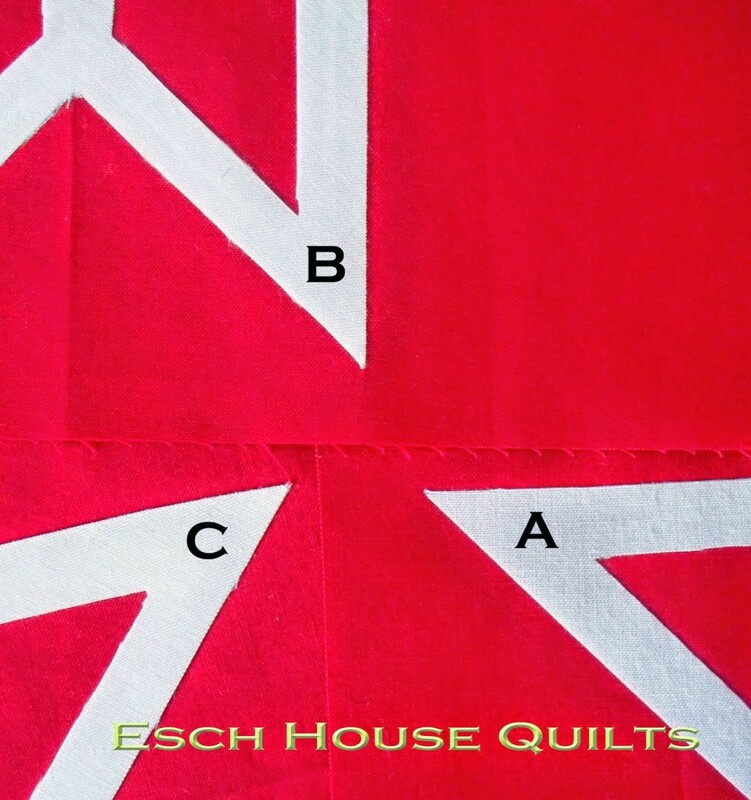 Copyright © 2015 Esch House Quilts | All rights reserved.